Let's say you wanted to compare survey results from two different periods of time. 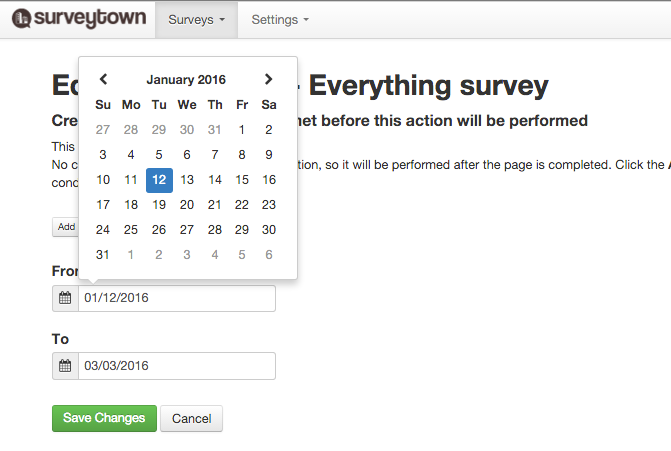 What you can do in SurveyTown is filter the reports so that you only see the results from responses between certain dates. Here's how. First, click the "Report" icon. 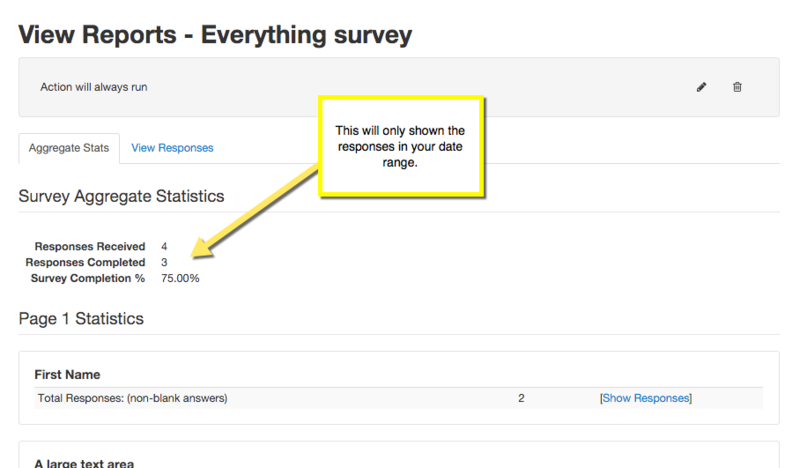 Next click the "Filter Survey Results". 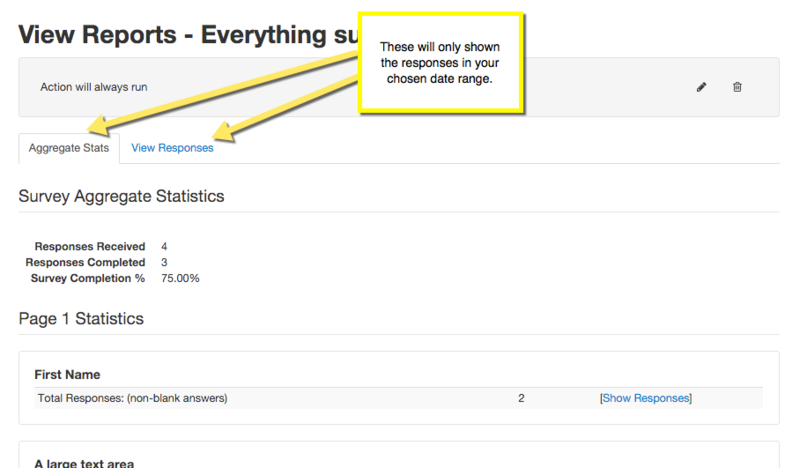 From the next page you can adjust your reporting page to show just the results from a given time period. Selecting a date range will limit the responses that are shown in the aggregate results and in the individual responses.